Dremel is a brand of rotary tools that was originally developed by Albert J. Dremel in the early 1930s. Utilizing a whole host of changeable bits, these tools can be used to drill, saw, grind, carve, engrave, sand, and buff. As small handheld devices, Dremel tools are made to be easy to operate. One key thing to keep in mind when using a Dremel is to move it against the direction its tool bit is rotating. This gives you more control and precision. Watch this video to learn more about how to use this rotary tool. For nearly 70 years, A Tool Shed Equipment Rental has strived to provide our customers with the very best tools and equipment for rent in San Jose , Northern California, and the Greater Bay Area. Contact us today at (877) 890-2963 or visit our website to learn more about our inventory of competitively priced rental tools and equipment. Whatever you need a drill for, A Tool Shed Equipment Rentals can help. 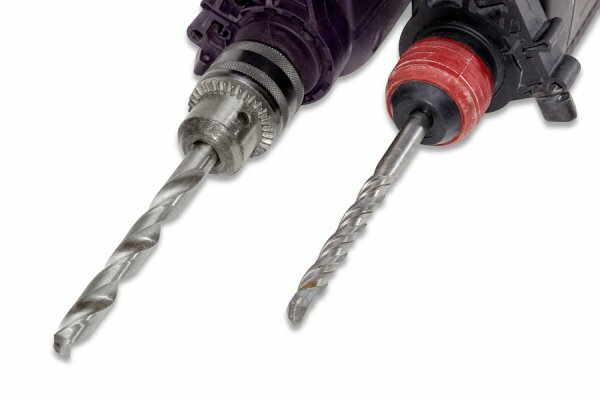 Our tool and equipment rental shops in San Jose and Northern California are equipped a wide variety of drills, bits, and accessories that can make short work of your DIY project. Call us toll-free at (877) 890-2963 to speak with one of our tool and equipment rental specialists about your needs. There are certainly cheaper and easier options when it comes to deconstruction than the new method being implemented in Japan, but the floor-by-floor “shrinking” you’ll see in this video is the cleanest, quietest, and most environmentally-friendly way to bring down a building. Although you probably won’t make use of this demolition method yourself, it’s an amazing look at an amazing feat of engineering. 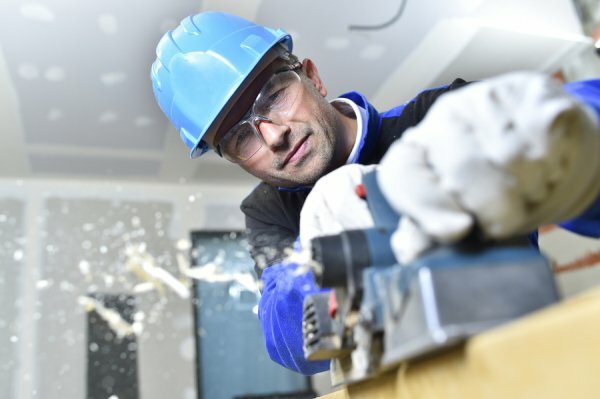 Whether you’re a contractor planning a major demolition project or a homeowner undertaking a DIY home remodel, A Tool Shed Equipment Rental has all of the tools and equipment you need to get the job done quickly, safely, and effectively. We provide tool and equipment rentals and sales in San Jose and throughout Northern California at our seven locations. Visit our website to browse our selection of rental equipment and tools, or call us toll-free at (877) 890-2963 for help finding a specific tool or piece of equipment for your demolition project. The holidays bring family and friends together for delicious meals and activities! However, the holidays also bring a lot of foot traffic across your beautiful floors and rugs! Don’t let your beautiful floors stay dirty after the holiday season! Watch this video to learn how to get stains out of your carpet immediately! If you need a carpet cleaner or floor polisher after your busy holiday, call A Tool Shed to rent one of our rug and carpet cleaners or floor polishers today! Visit our website for a complete list of tool rentals . The jigsaw is one of the most versatile tools for cutting shapes into almost any material. If you have limited experience using this power tool, read this article to learn the basics of using a jigsaw. And for the best rental equipment in San Jose , come to A Tool Shed Equipment Rentals. The right jigsaw blade for your project will depend on what type of material you are cutting into. The bayonet style is ideal for laminate. If you are cutting wood, you will need the universal style blade. There are also specific jigsaw blades available for cutting into metal and tile. If you are purchasing a jigsaw blade, know that bimetal blades are very strong and can last 10 times longer than the traditional blade. Firmly press the saw shoe onto the surface of the wood, with the blade pointing away from the edge. After you start the motor, move the blade over the outside of the cutting line. Keep in mind the pace at which you move the saw; the saw should not be deflecting and the motor should not labor excessively. Use a fence for straight cuts to ensure the best results. When cutting into laminate, drill a half-inch hole to help start the blade. Using a special laminate blade is essential, as it will only cut on the down-stroke. Tape the bottom of the saw shoe to avoid damaging the countertop. Be patient—cutting laminate with a jig-saw takes longer than you may expect. To reduce breakage and speed up the cutting process for ceramic tile, apply a mist of water to help lubricate and cool the saw cut. Jig-saws work best when cutting wall tile that is no more than a quarter-inch thick. Apply masking tape to the saw shoe to avoid damaging the tile. For a vast selection of new tools and used tools , come to A Tool Shed Equipment Rentals. Call us at 1 (877) 890-2963 or visit our website for more information.